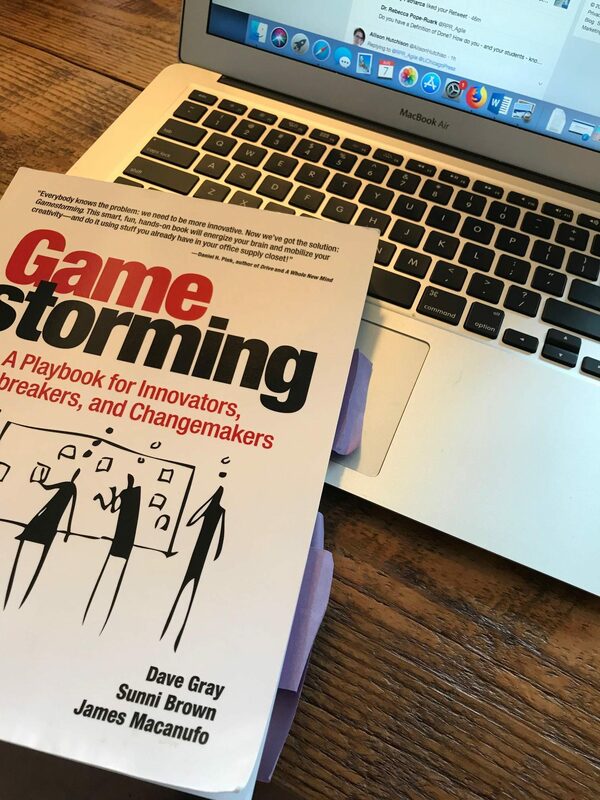 Superfast book review in a nutshell: I love Gamestorming as a great source of classroom, committee/department, and workshop activities. Most of them just require wall space, sticky notes, and Sharpies as well as a little forethought, and all the activities are designed to be generative – of learning, goals, work, relationships. The book includes games (or activities if you aren’t into gamification) for setting and managing meeting agendas, building common goals and proving accountable to them, team building (in an authentic way, not the cheesy sleep-away camp way), assessing work/team processes, articulating and selecting from options, and many others. I like these types of activities in class because they often get students up and moving, physically drawing out their thoughts instead of typing them. I also always do one, two, or three of these activities in my Agile Faculty workshops on productivity and collaboration. Pick a game to kick off that committee you are leading, wake up that sleepy 8am class, or just visualize your own goals and intended outcomes for a project, and see what happens!